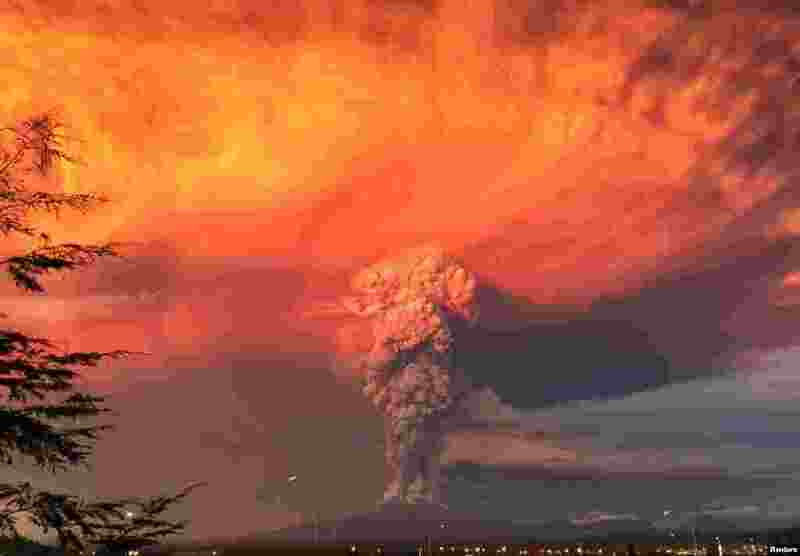 Calbuco, which erupted without warning on Wednesday, was still puffing out ash and smoke on Friday, leading airlines to cancel flights from Argentine capital Buenos Aires, some 1,400 kilometers east. 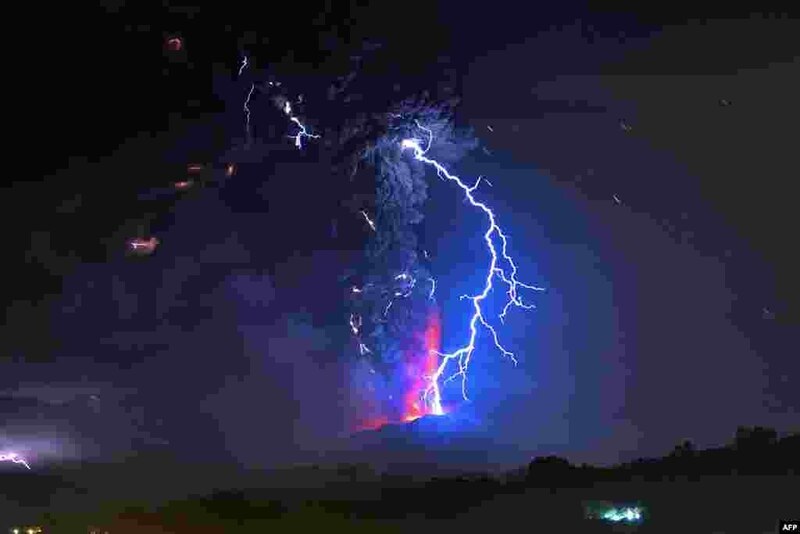 Calbuco, considered one of the most dangerous along Chile's chain of around 500 active volcanoes, erupted twice in 24 hours on Wednesday and Thursday. 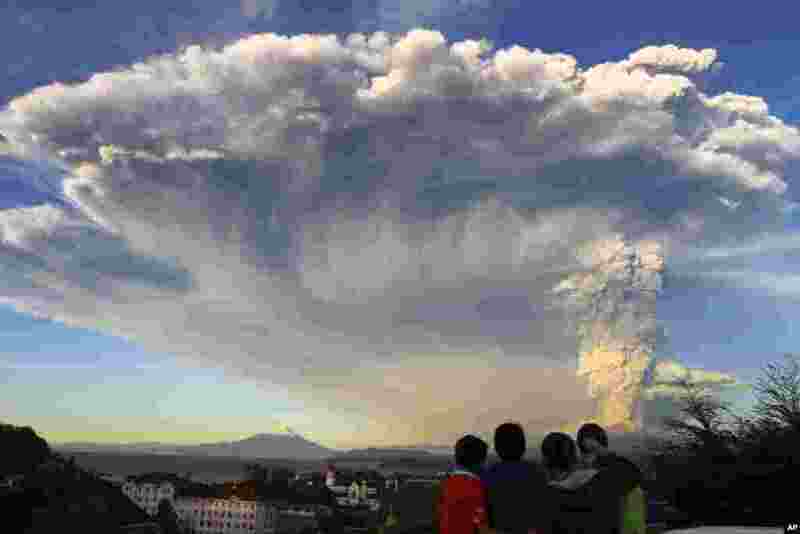 1 Smoke and ash rise from the Calbuco volcano as seen from the city of Puerto Montt, April 22, 2015. 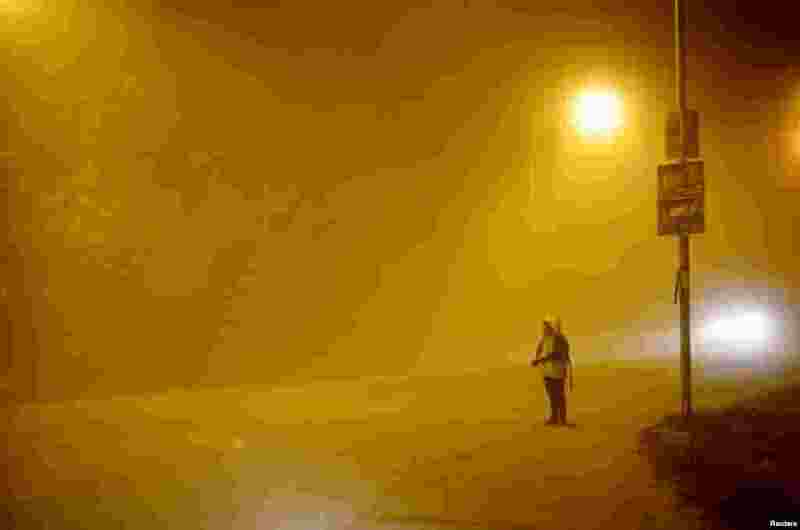 2 A bystander watches as ash falls from Calbuco volcano in the Patagonian Argentine area of San Marin de Los Andes, April 22, 2015. 3 Children watch the Calbuco volcano erupt, from Puerto Varas, Chile, April 22, 2015. 4 View from Frutillar, southern Chile, of lava spewing from the Calbuco volcano, Chile, April 23, 2015.